Have you noticed that botanicals are making a big comeback? Maybe it has something to do with how plant-crazy ladies and gents are lately. To be fair, botanicals never really went away; it has to be their versatility that keeps them on trend. Most people, even those of us critical of mass-produced art, appreciate the graphic impact these pieces make, even when they're not the real deal. Vintage bookplates or pressed botanicals are obviously ideal, but there are tons of great reproductions on the market: big and small, cheap and pricey. And better yet, botanical prints impress wherever you put them. Need proof? 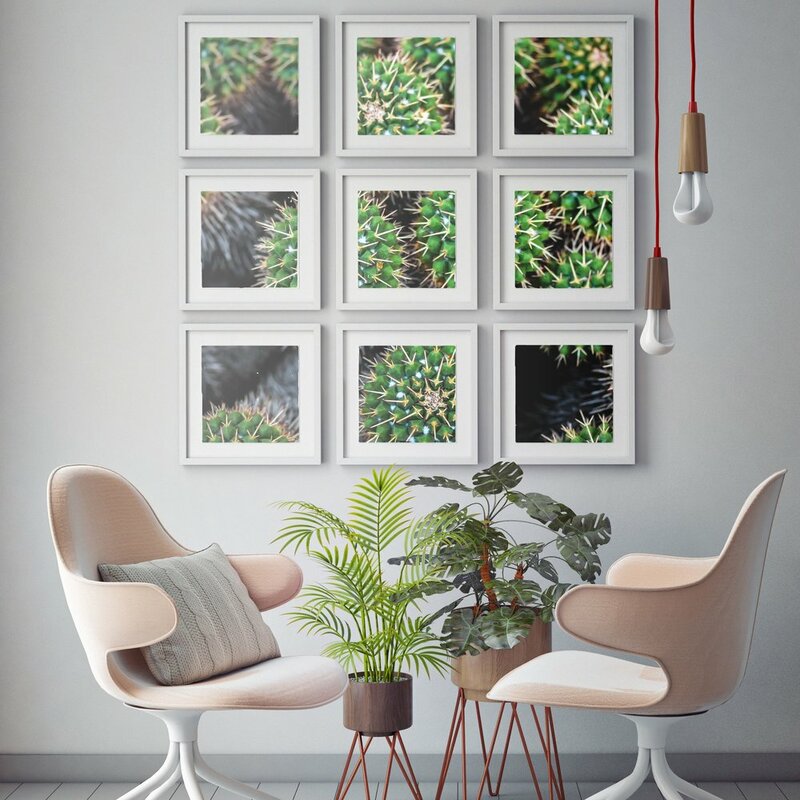 You fill up a large amount of wall space with only three pieces, and the blank background feels bolder and more modern than some of the smaller, daintier botanicals. These guys can stand on their own. These 3 bright originals on canvas are gallery wrapped and give this corner a floral glow. Botanicals don't always have to be big and bold though. In fact, it's often easier to find smaller botanicals. But with the right framing smaller florals or botanicals can be the perfect fit. Enlarged and separated this photograph becomes more than just one shot. This statement wall would not give nearly the stylish impact without a colorful canvas. Custom framing is a large part of our business...we've created beautiful work continuously under the same family ownership since 1988! We specialize in the individual custom framing project. If botanical artwork isn't your style there is always room for florals in the framing. With ornate framing any piece can create a fun flair to any style. Art Dallas provides a full range of picture frames to choose from. Our fully custom framing allows the client the flexibility to design concepts and develop sizes that fully integrate into their space.